Small orders are sent by recorded first class post. All other UK and offshore islands orders are sent by DPD Local recorded courier. All orders must be signed for on delivery. 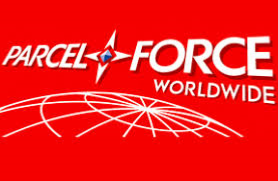 International orders sent by Parcel Force. Supplying Retail and Trade: American Smokers, Water Smokers, Wood-Chips, BBQ Tools, Charcoal BBQ'S, Rotisseries, Masonry BBQ'S, Gas BBQ'S, Indoor Stove Top Smokers, Fire Pits, BBQ Covers, BBQ Rubs and Spices, All Year Charcoal Supplies, Christmas BBQ Gifts, Free BBQ Recipes. Friendly Advice from over 30 years Experience of Smoking Delicious BBQ Food. 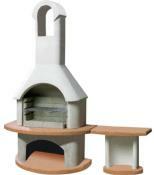 Masonry barbecues have to booked with the haulage company and usually take 5 to 21 days. The haulage company will contact you to arrange a suitable delivery day. It is important you supply a daytime and mobile number. If you are unavailable for delivery on an agreed date you will be liable for the cost of return and second delivery. 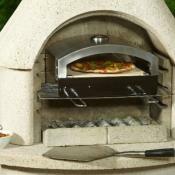 Masonry barbecues may attract a surcharge of £30.00 for delivery to some parts of Scotland. 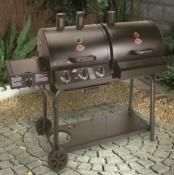 The barbecue's are delivered in component parts on a pallet. Regrettably an assembly service is not available. It is the customers responsibility to ensure there is safe and suitable access area for the items to be delivered. The delivery driver is unable to help with the final positioning of the delivered items due to health and safety reasons. Please email if you require further information.